Nothing of that which is conducive to help man, collectively or individually, to live... less unhappily in this world, ought to be indifferent to the Theosophist-Occultist... his first duty is to be ever ready to help if he can, without stopping to philosophize. Helena Petrovna Hahn (also Hélène) (July 31, 1831 (O.S.) [(August 12, 1831 (N.S.)] 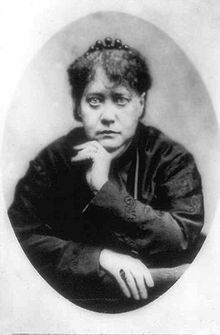 – May 8, 1891), better known as "Helena Blavatsky" or "Madame Blavatsky", was an occultist, spirit medium, and author who co-founded the Theosophical Society in 1875. She gained an international following as the leading theoretician of Theosophy, the esoteric movement that the Society promoted. 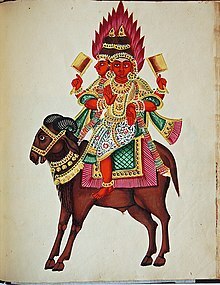 Maitreya is the secret name of the Fifth Buddha, and the Kalki Avatar of the Brahmins - the last Messiah who will come at the culmination of the Great Cycle. Nothing of that which is conducive to help man, collectively or individually, to live — not "happily" — but less unhappily in this world, ought to be indifferent to the Theosophist-Occultist. It is no concern of his whether his help benefits a man in his worldly or spiritual progress; his first duty is to be ever ready to help if he can, without stopping to philosophize. The infinite and uncreated spirit that we usually call GOD, a substance of the highest virtue and excellency, produced everything else by emanative causality. God thus is the primary substance, the rest, the secondary; if the former created matter with a power of moving itself, he, the primary substance, is still the cause of that motion as well as of the matter, and yet we rightly say that it is matter which moves itself. "We may define this kind of spirit we speak of to be a substance indiscernible, that can move itself, that can penetrate, contract, and dilate itself, and can also penetrate, move, and alter matter," which is the third emanation. "True science has no belief," says Dr. Fenwick, in Bulwer-Lytton's Strange Story; "true science knows but three states of mind: denial, conviction, and the vast interval between the two, which is not belief, but the suspension of judgment." Such, perhaps, was true science in Dr. Fenwick's days. But the true science of our modern times proceeds otherwise; it either denies point-blank, without any preliminary investigation, or sits in the interim, between denial and conviction, and, dictionary in hand, invents new Graeco-Latin appellations for non-existing kinds of hysteria! According to the ancient doctrines, the soulless elemental spirits were evolved by the ceaseless motion inherent in the astral light. Light is force, and the latter is produced by the will. As this will proceeds from an intelligence which cannot err, for it has nothing of the material organs of human thought in it, being the superfine pure emanation of the highest divinity itself — (Plato's "Father") it proceeds from the beginning of time, according to immutable laws, to evolve the elementary fabric requisite for subsequent generations of what we term human races. All of the latter, whether belonging to this planet or to some other of the myriads in space, have their earthly bodies evolved in the matrix out of the bodies of a certain class of these elemental beings which have passed away in the invisible worlds. Annihilation means, with the Buddhistical philosophy, only a dispersion of matter, in whatever form or semblance of form it may be; for everything that bears a shape was created, and thus must sooner or later perish, i.e., change that shape; therefore, as something temporary, though seeming to be permanent, it is but an illusion, Maya; for, as eternity has neither beginning nor end, the more or less prolonged duration of some particular form passes, as it were, like an instantaneous flash of lightning. Before we have the time to realize that we have seen it, it is gone and passed away for ever; hence, even our astral bodies, pure ether, are but illusions of matter, so long as they retain their terrestrial outline. The latter changes, says the Buddhist, according to the merits or demerits of the person during his lifetime, and this is metempsychosis. When the spiritual entity breaks loose for ever from every particle of matter, then only it enters upon the eternal and unchangeable Nirvana. He exists in spirit, in nothing; as a form, a shape, a semblance, he is completely annihilated, and thus will die no more, for spirit alone is no Maya, but the only REALITY in an illusionary universe of ever-passing forms. The kabalists say that a man is not dead when his body is entombed. Death is never sudden; for, according to Hermes, nothing goes in nature by violent transitions. Everything is gradual, and as it required a long and gradual development to produce the living human being, so time is required to completely withdraw vitality from the carcass. "Death can no more be an absolute end, than birth a real beginning. Birth proves the preexistence of the being, as death proves immortality," says the same French kabalist [Eliphas Levi]. The allegories of the "fall of man" and the "deluge," are the two most important features of the Pentateuch. They are, so to say, the Alpha and Omega, the highest and the lowest keys of the scale of harmony on which resounds the majestic hymns of the creation of mankind; for they discover to him who questions the Zura (figurative Gematria), the process of man's evolution from the highest spiritual entity unto the lowest physical — the post-diluvian man, as in the Egyptian hieroglyphics, every sign of the picture writing which cannot be made to fit within a certain circumscribed geometrical figure may be rejected as only intended by the sacred hierogrammatist for a premeditated blind — so many of the details in the Bible must be treated on the same principle, that portion only being accepted which answers to the numerical methods taught in the Kabala. Throughout the last 100 years, the Ageless Wisdom Teachings have been communicated through individuals such as Helena Blavatsky, founder of the Theosophical Society, and later by Alice A. Bailey and Helena Roerich. Blavatsky, who worked directly with the Masters, revealed that these perfected beings have guided humanity from behind the scenes of everyday life for countless millennia. One day in the winter of 1875, Helena Petrovna Blavatsky, one of the founders of the Theosophical Society, made a vow: to spread by every means in her power the teachings which she had received from several Masters of the Himalayan Lodge of the Spiritual Hierarchy of our planet. True to her vow, she set to work to inform the world of these teachings. Her books, The Secret Doctrine, Isis Unveiled and The Key to Theosophy, are testimony to her indefatigable industry and will, in the face of great physical illness. These seminal works have informed and inspired many thousands of true seekers over the years and continue to do so. (On H.P.B) [Helena Petrovna Blavatsky] And we, who lived around her, who in closest intimacy watched her day after day, we bear witness to the unselfish beauty of her life, the nobility of her character, and we lay at her feet our most reverent gratitude for knowledge gained, lives purified, strength developed. Asked the human sources of his inspiration,Creme said he was a student of the writings of Helena Blavatsky and Alice Bailey, whose books have had a profound influence on that diverse range of contemporary spiritual beliefs called New Age -- a blend of elements of Eastern and Western mysticism and a strong dose of self-improvement thinking.